Sit with the Solo™ under the bulk of your glutes. Aim to rock in small increments over your entire gluteal surface. An easy-to-remember direction is to start with your Solo™ at the top edge of your sacrum and proceed along the inside edge of your hip bone, creating a full circle. 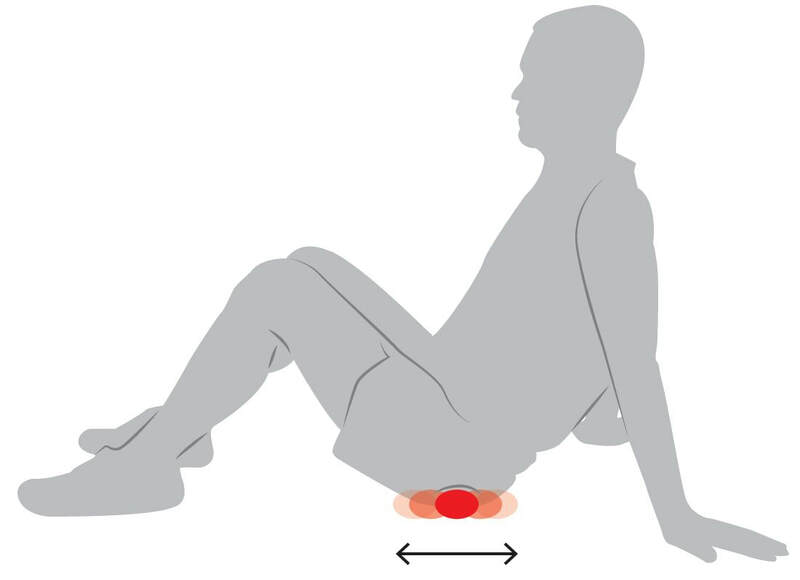 When you return to the starting point, continue across the centre of your glute, from sacrum to femur – like an upside down e.
If the pressure is too great at any time, consider lying on your back or using your forearms to support you, keeping your knees bent. Use your breath to encourage relaxation over the ball at tender points in the muscle.